I’ve always been fascinated by color, even as a child, and naturally, more recently, beer color. 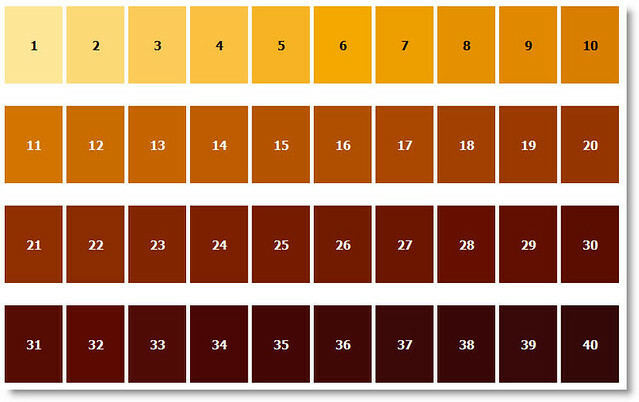 I understand how the color numbering systems came about, and their obvious utility, but I’m more interested in thinking about beer color, by which I mean how we describe a beer’s color using names for colors in the same way that we have more or less standardized descriptors for flavors and aromas. When it comes to the descriptors for beer’s aroma and flavors, we understand and acknowledge the importance of vocabulary, of having a standardized series of words to express what we’re tasting. 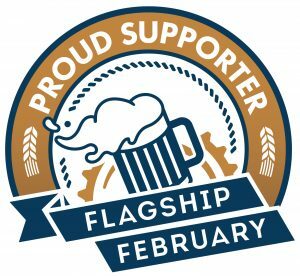 Several years ago, my friend Fal Allen (who’s the brewmaster at Anderson Valley Brewing) started a list of Beer Tasting Terms that I expanded on which includes most of the more common descriptors and other terms used when tasting beer. Having everyone using and understanding the same language makes talking about those much, much easier. 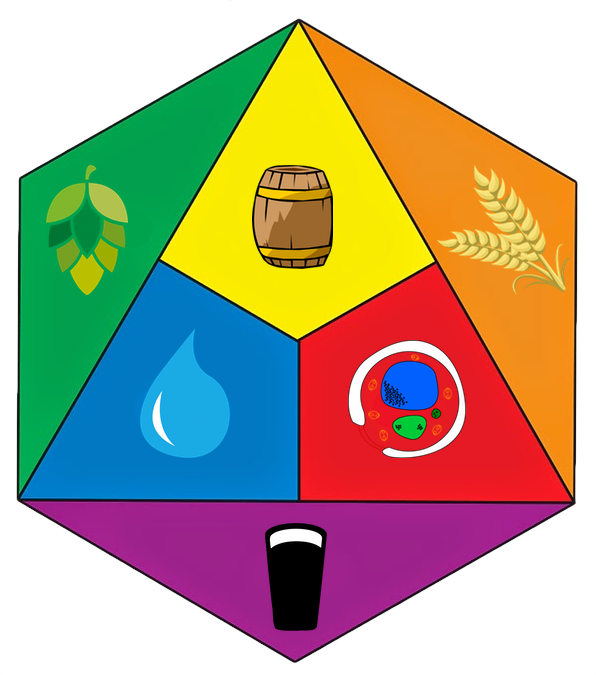 That’s why in the 1970s Morton Meilgaard created the Beer Flavor Wheel which has since been updated and maintained by the American Society of Brewing Chemists. But that brings us back to color. Color is generally expressed by numbers, first using the Lovibond scale (or Degrees Lovibond / °L) which has been mostly replaced by the SRM (Standard Reference Method) and the EBC (European Brewery Convention). SRM is the one most commonly used in the U.S., and it expresses beer color using a numbering system of 1-40, with the lower the number, the lighter the beer, and vice versa. And that works fairly well, especially for reviews or judging since it’s reasonably easy to determine if a beer hits its range for a particular style. So I have nothing against it, except that it’s not very elegant or poetic. I realize it doesn’t have to be, but I make my living writing. I love language. Words excite me. 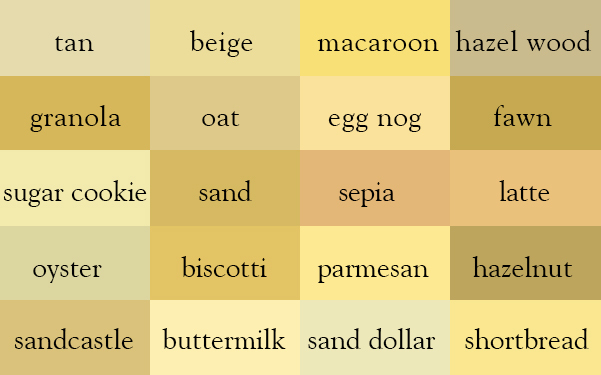 I love to linger at the paint chips and marvel at the imaginative names that people give to different shades of colors. Even as a child I remember being intrigued by the names on crayons, especially those with such descriptive names as “burnt sienna,” “midnight blue” or “atomic tangerine.” They’re so much more evocative than brown, blue or orange. So when writing a beer review, I struggle to avoid using the same semi-standard color names over and over again, none of which have been set in stone, at least not to my knowledge. 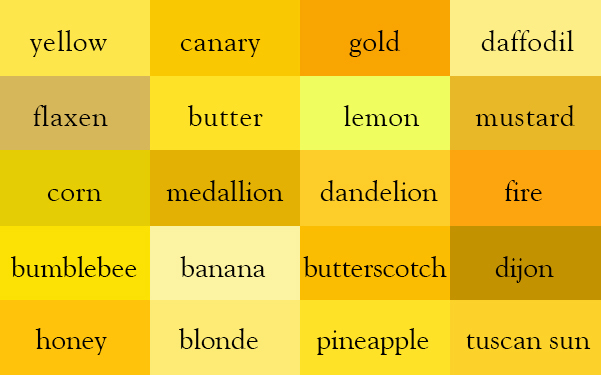 The most common four colors that one sees are Yellow, Amber, Brown and Black. And while that does express the range of beer color, it’s a bit too vague. Other scales include Straw, Yellow, Gold, Amber, Copper, Brown and Black with many more using modifiers to those like Light, Dark, Deep and occasionally Medium or Ruby. In Randy Mosher’s latest book, Mastering Homebrew, he includes a chart with some basic beer color nomenclature. And that’s obviously better than just four colors, or even seven; although like taste, you probably don’t want too many. And keeping them fairly standardized makes sense since it helps communicate the colors more effectively, but I still can’t help but think that in terms of describing the beer that it’s too limiting. For example, I like to use “mahogany” to describe a beer that’s primarily brown but with some red in it, too. And while I think that does communicate the actual color better, it’s not clear to me where on the scale it would fall. The elephant in the room, of course, is that like aroma and taste, none of us perceive color in exactly the same way. Some people are color blind, and while some see only black and white, in most cases it means that they see color differently than typical people do. My stepfather couldn’t see red, for example and when driving was fine with normal traffic lights but would often get tripped up if the lights were horizontal rather than vertical. Color blindness overwhelmingly effects men, with as many as 8% of the male population having some form of it, while only about 0.4% of women are color blind (at least for people of Northern European ancestry). But for the rest of us, colors are something we learn very early in life and we can more or less agree on the basic colors, if not the more nuanced shades of colors. So where do the names for colors come from? We all can agree on the primary colors, the rainbow’s ROYGBIV. But it gets trickier when you start looking at the shades, say grass green, apple green, olive or avocado. Most people started noticing colors, like me, with crayons. A list of Crayola crayons reveals more than 200 named colors over the years, although a collector’s website lists 1,629 different colors. Wikipedia has their own list of colors, and also has a list of X11 colors. Then there are internet or web colors, with 6-digit hex codes, though many of them also have color names, and there’s another list of over 500 web colors. There are also alphabetical color lists like this one. One of the most popular color systems is the commercial Pantone Matching System, which unfortunately primarily uses a numbering system to organize the majority of their colors, although names are assigned to some of them. I find them hard to use because of that, and because within Pantone there are so many ways they’re divided into collections and other ways of being displayed. Just take a look at a few third-party lists of their colors to get a feel for how many there are, and how unwieldy they are to use. There’s the Pantone® Matching System Color Chart, All Pantone C colors with HEX and RGB codes, a Pantone Color Table, and PANTONE® Colours. These are the ones used by a number of different professions and professional designers, but they can also be expensive. So she created a color thesaurus of colors, shades and their names. I’ve included the six of them that involve beer colors, but you can see the rest of them here. Not all of them are strictly beerish in their nomenclature, but perhaps it’s worth exploring to come up with a list that is. Fallout Shelter Brewing (which I think is a homebrewer’s personal site) has a very helpful chart of the HTML color codes for SRM Colors that includes 0 through 60, with halftones of .5 in between each, along with the codes for three different constrained path lengths, which he believes would show the beer as seen through a carboy, a pint glass or a tasting glass, respectively. Using the codes for the taster glass, primarily because they seemed to show a greater range of colors from lightest to darkest, I created a Beer Color Nomeclature Chart, which is below. I then took the main range of colors, including the halftones only between 0 and 13 because after that as they become darker, differences become harder to make out or even notice. I then listed the SRM value and display a swatch of the color corresponding to the SRM number. The third column lists the common name known for that SRM number, if there is one, though having looked at numerous sources, you’ll probably not be surprised to learn that they rarely agree. So I made some choices, and also included some non-standard names there, but used italics to differentiate those. BJCP beginning and ending colors for each listed style. Cicerone beginning and ending colors for each listed style. GABF beginning and ending colors for each listed style. Beginning and ending colors for each listed style in Randy Mosher’s Tasting Beer. Specific examples of beers where I was able to find their SRM, though I can’t be certain how correct the information is. In fact, I’ve found multiple sources for some beers that do not agree, for example I’ve found references to Pilsner Urquell having an SRM of 4.2 and 6. I think a lot of the differences stem from the fact that what the SRM numbers are is dependent upon how that color was calculated. I will gladly correct any if I can be shown some proof from a more reliable source or how the more correct number was arrived upon. There’s actually not a lot of information listing the exact SRM for many beers, at least not that I could find. 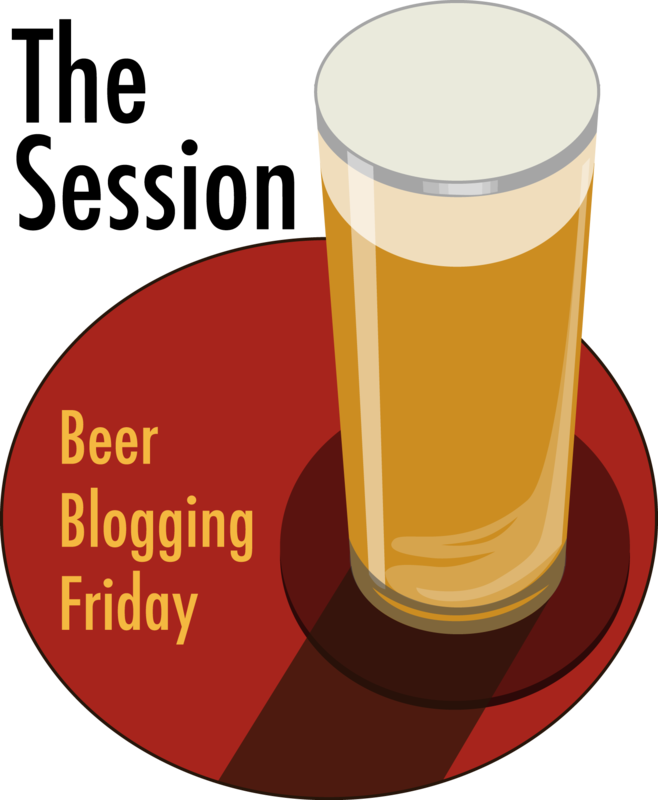 If you know of any resources listing exact SRM for common and/or popular beers, please leave a comment or send me an e-mail. Thanks. 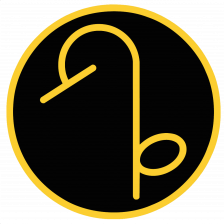 Name Key: Plain Text = traditional name / Italics = non-traditional but used by someone on a list that I found researching this. BJCP Key: b = range begins / e = range ends / Numbers correspond to BJCP styles. Styles Key: Cicerone program: Range begins = Plain Text w/© / Range ends = Italics w/© (© for Cicerone) / Tasting Beer by Randy Mosher: Range begins = Plain Text w/® / Range ends = Italics w/® (® for Randy) / Brewers Association GABF 2014 Beer Style Guidelines: Range begins = Plain Text w/ß / Range ends = Italics w/ß (ß for BA) / No code = found on a list researching this. 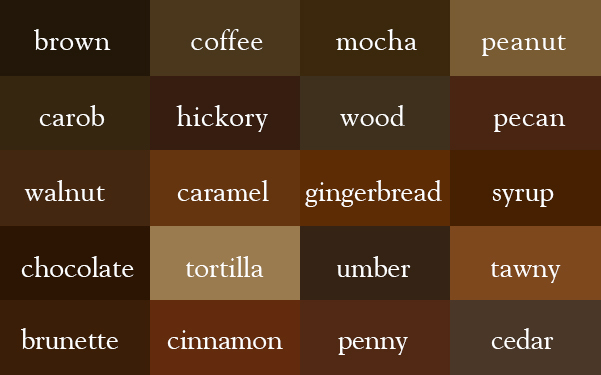 And here’s a more thorough list of words for the basic beer colors that I cobbled together from a variety of sources. White is included not because beer is white, but because the very light colors of some beers fall into the range of off-white, colors like light straw veer between yellow and white, as do other very pale hues. I tried to avoid colors that would never be found in beer, but as many, if not most, would, it’s still a pretty broad list. Some might never work, whereas others maybe only for a very few beers. But the goal is to start a conversation about color, and to inspire a sense of playful poetry when it comes to describing it, as we do in enjoying it. So I wanted to include as much as possible rather than try to be too exclusive. So that’s a lot of different shades of colors in a few different families. It was just an exercise to see what were the more common names used for those colors. There are many, many more I did not include, though I did look at quite a few different sources. 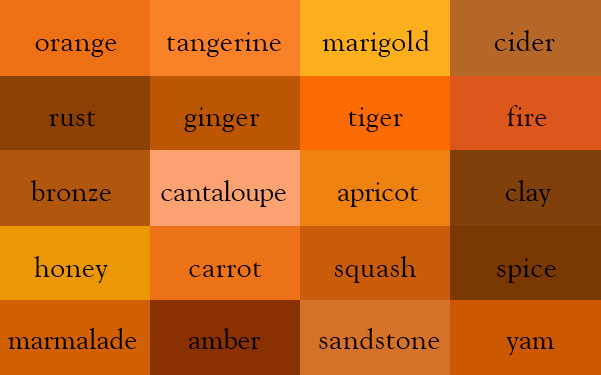 Finally, below is a Color Nomenclature Chart, a list of the same beer colors as the first chart, but with the html hex codes for each along with the color’s name, if known, or if there even is one. If not, I tried to find the closest match. I looked through numerous color websites and databases to find the names for the colors below based upon their web hex code. A few were easy, but most were not easy to find. With 8-bit (2^8=256 colors), 16-bit (2^16=65,536 colors), and 24-bit (2^24=16,777,216 colors) having so many available colors, it’s not terribly surprising that no one has given them all names. It would be like naming every star. The last column then is color names that were close to the code for the one shown, and may provide better names. Since the colors themselves are not perfect, and many systems exist for displaying them, being exact isn’t really necessary so the goal is to find descriptive names that most people will recognize and understand which describe the color of the beer. 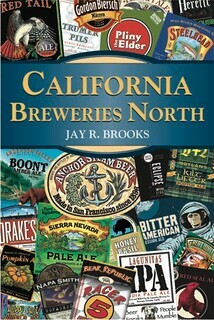 Maybe the best approach to use the most iconic or classic beer as the name. For example, perhaps if Orval is SRM 10, then SRM 10’s color should be called Orval. 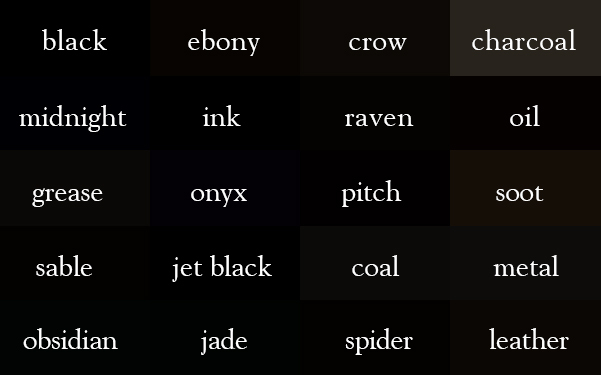 There are a number of ways we could go, and below is one idea, that there are already some names for most colors that exist, and here are some of them. Code Key: The six-digit code is the HEX code data to display a color using the internet. Color Key: Recognized name or the closest recognized name I could find. 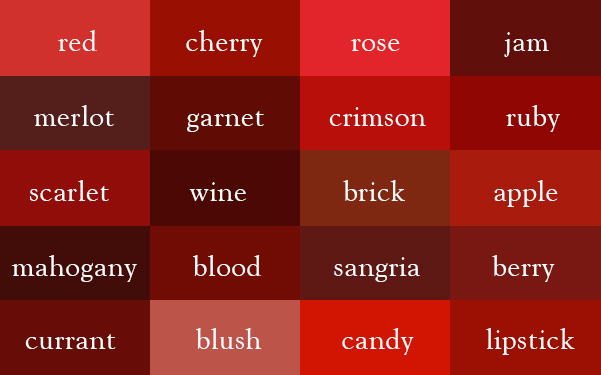 Alternate Names Key: These color names have codes very close to the listed code. If there’s no parenthetical name, then the color name was also an exact match for the code. If there is a parenthetical name, then it was not an exact match, and I’ve listed the company that makes that named color. I’m not entirely sure where I’m going with this or what the ultimate goal might be. This started a couple of weeks ago as what I thought would be a short post about some beer color names, but grew and grew until it became the bloated colossus you see before you. It ended up being more of an exploration of color in general and beer color more specifically. There’s no doubt that the SRM and other numbering systems for color and their ranges work pretty well. But I think it’s always worth contemplating if anything can be made better and, if so, how. My bias obviously is for more descriptive words instead of numbers, and there’s no doubt that bias is personal. But I also can’t believe I’m the only one who prefers poetry to mathematics. What happens next is entirely dependent upon how much interest this generates, which will reveal if my geekery about beer color is a solitary quirk, or whether any other like-minded color nerds are out there. Just making it this far and reading this sentence will undoubtedly mean you’re probably one of us, as I suspect the rest will have jumped ship after the first few colorful passages. This paragraph is like the teaser after the credits that many movies show after most of the audience has left the theatre. I always stay to the end of the credits of every movie I see, and that should tell you quite a bit about me. But if you’re reading this, then you’re most likely ready to take the next step with me. Drop me a note or comment here and we’ll see what happens. Chromanerds unite! This is the sort of excellent thing I am glad others do. My problem with the number systems is they are linear, something colour gradations in reality aren’t. Your word blocks are much more interesting and accurate – as well as evocative in the way taste and hue are. Jay, you are not alone! This is a great column and I look forward to using your terms. Thank you for this, Jay. I will bookmark this, as this will be an invaluable resource for my blog (if I ever get back to it). This reminds me of Nicole Erny’s first talk at our class, which basically challenged us to use better descriptors when describing beers. It’s one of my biggest roadblocks. I’m also one of those colorblind males you mentioned, so that doesn’t help, either. This will be a huge help to me. Thanks so much for what must have been many hours of research!